No matter who you are or where you live, it’s hard to miss that this is the going back to school season. On the airwaves, popular media raves about new trends in a vain effort to guide the purchasing power of consumers who either have children in or are in school themselves. New clothes, new gadgets, better supplies and don’t forget your #2 pencil. All of this is needed before any summer gorged student can even consider heading back into the academic world. Especially those students who are about to brave the coming of age event known as high-school. For those of us who have already navigated the confusing and weary halls of grades 9-12, we know that beyond the opportunities to put together a life of scholastic glory and fulfillment is the ever present weight of conforming to social norms while at the same time forming an individual personality just unique enough to stand out while not getting you singled out. Because over the course of the next 4 years, while learning about quadratic equations, Manifest Destiny and the Glass-Steagall Act each student is also engaged in a popularity contest. It’s exhausting just thinking about it. And also inspiring. Because what’s wrong with being popular? Nothing! That’s why we are trotting out the top 10 pedals at Pedal Finder. These are the pedals that people flock to, visit and read about en masse. These are the pedals that bring in people from all over the internet. Are they popular because they are the best? Are they popular because we gave one of them away? Are they popular because we talk about them all the time? Hard to say, but they are the most visited, so we thought you might like to know about them so you can visit them too. So visit a few of them and learn something new, comment on something old or just pass the time before you are allowed to go home and watch reruns of Mork and Mindy on channel 57. 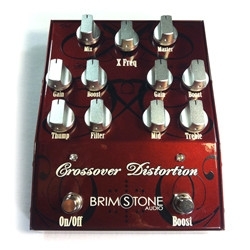 #10: Brimstone Audio Crossover Distortion XD-1: Coming in at number 10 on our list is the Crossover Distortion by Brimstone. This analog, multi-band distortion effect has four different circuits; two mosfet gain circuits, a Linkwitz-Riley crossover and an output mixer. Not a nerd? Don’t worry about it. What it means is that you can effect the highs and lows on this pedal separately allowing you to get the perfect tone that you need. Seriously, total tonal control. If you consider yourself type A with a good ear, you need to get up in this beast. #9: Fuzzrocious Pedals Rat Tail: Back in June, Pedal Finder was lucky enough to interview the husband and wife team know as Fuzzrocious. Ryan Ratajski works the electronics, stuffing classic fuzz and distortion sounds that incorporate modern twists into sturdy boxes, uniquely designed and hand painted by Shannon Ratajski. What you get is a melding of art and science that brings you great tonal distortions and overdrives. 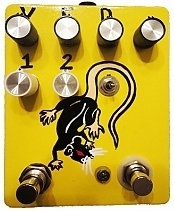 The Rat Tail is just one of the many amazing effects pedals coming out of this innovative, boutique effects builder. #8: Ernie Ball VP Jr. 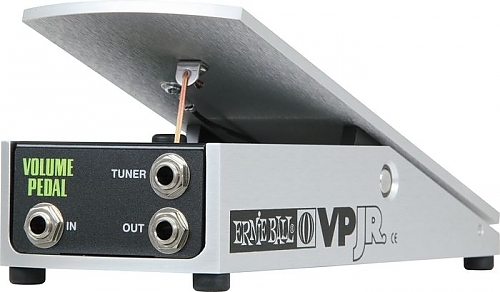 Passive Volume Pedal: At Pedal Finder, there are 8 reviews for this compact volume pedal from Ernie Ball. It comes packed with great features including a potentiometer with 250 OHMs of resistance that caters to passive instruments. Perhaps the nicest feature is an independent tuner output that gives you silent tuning when the pedal is in heel down position. Clever! Just the type of thing that can get you on a top ten list. #7: Mad Professor Golden Cello Combined Delay and Overdrive: The unique Golden Cello combines delay effects with overdrive that empowers guitarists and bassists with the ability to pretend to play their instrument with a bow – thus the name. The pedal allows you to mix the rate of the delay and overdrive, giving you a huge amount of control over the sound and tone. 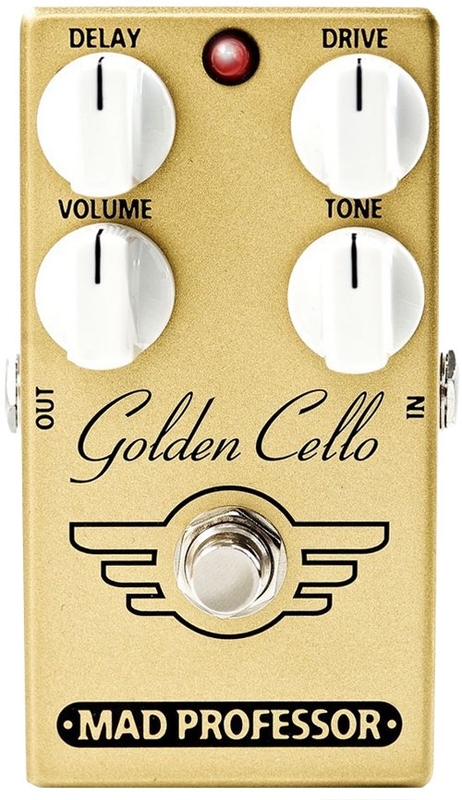 Back in April of 2014 a Golden Cello was the prize in the first ever Pedal Finder Giveaway. More giveaways are coming soon, so keep an eye out for those. Until then, stop by and check out what others are saying about his pedal. 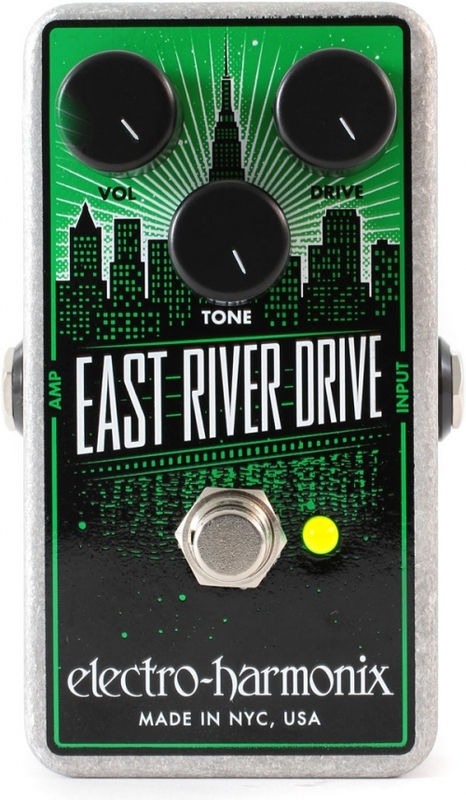 #6: Electro-Harmonix East River Drive: Electro-Harmonix created the East River Drive to make a classic overdrive that was ‘as bold as New York.’ This baby has a symmetrical overdrive that colors your edge and gain without muddling your tone. The three knobs let you take it from the purr of a pussycat to the roar of a lion — giving you the power to cut through your band to get above the sound. 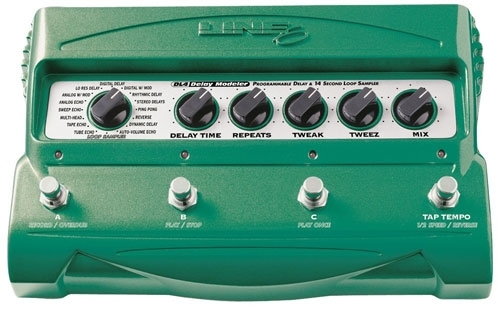 #5: Line 6 DL4 Delay: Honestly, is anyone surprised that this made the list on a popularity contest? Check it out. 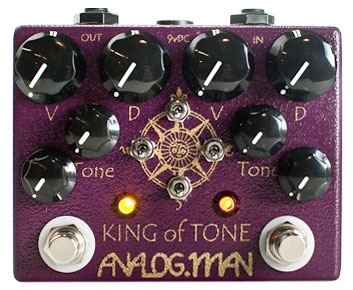 #4: Analog Man King of Tone: Do you like knobs and desire the ability to put a leash on your tone with a choker? The KoT (King of Tone) is the pedal for you. Created by Analog Man, with the help of Jim Weider to give musicians a tone that was clean, yet crushed the airwaves. A pedal extreme enough that it desires medium settings on you amp. By all accounts it sounds amazing. See for yourself and let us know what you think. #3: EarthQuaker Devices Dispatch Master: Without knowing what it is, the Dispatch Master sounds like a hooded executioner and makes you think of an overdrive or distortion pedal. In fact, this pedal is a combination reverb and delay pedal. The two effects have individual controls ensuring that they play nicely together, while still giving you great tonal quality. The folks at Earthquaker Devices know what they’re doing, so it’s no surprise that this pedal is on the popularity list. 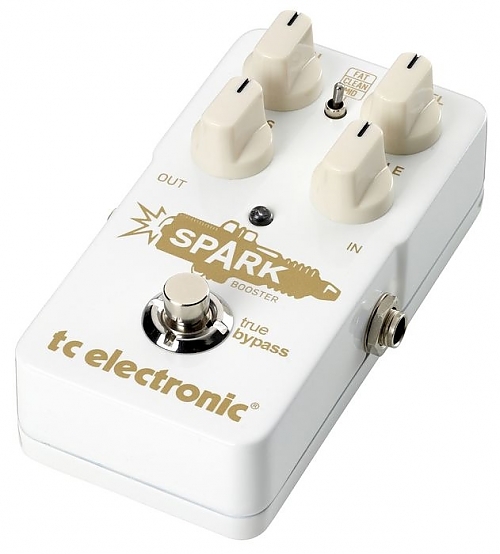 #2: TC Electronic Spark Booster: According to TC Electronic, the “Spark Booster guitar effects pedal works great as an always on type of effect, adding life, grit and compression to your sound in a way that oozes tone.” All we know is that the 4 knobs attached to this case give you the ability to add 26 dB of boost to your signal, while the gain knob gives you the option of breaking up the path a bit, for some dirty tones. It’s compact and ready to go. 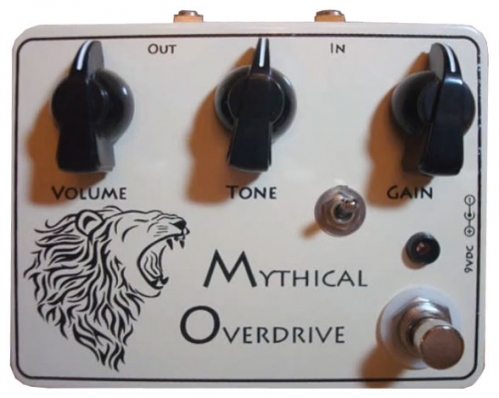 Rimrock Effects Mythical Overdrive: Ken Dalton at Rimrock Effects created this Klon Clone and it must be pretty darn awesome, because people from all over the world are coming and checking it out, giving it first billing at Pedal Finder. 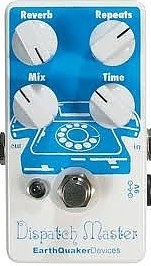 If you have any insight into this pedal, leave a review and let us and everyone else that stops by know what you think! So that’s that! One more wholly unscientific top ten list brought to the internet for your enjoyment. Know of a pedal that you think people should be visiting more often? Let us know and then get on over to Pedal Finder to leave a review.